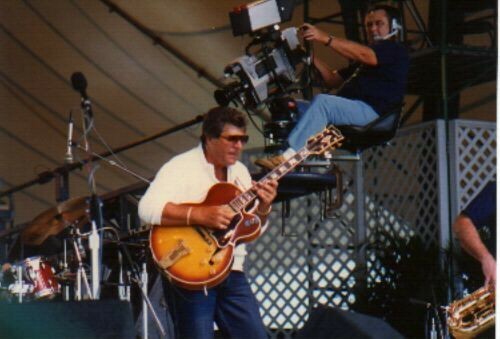 The name of Robert Conti first came to my attention in the summer of 2000, while I was thumbing through an impressive Just Jazz Guitar review of a Conti performance in Beverly Hills, California. Later that year I had the pleasure of becoming acquainted with Paul Getty through his visits to my educational website. During a telephone conversation, the Conti name surfaced once again when Paul convinced me to visit and spend an hour at Robert’s website. Little did I realize what I was about to see and hear. MS: During the past year I’ve invited numerous musician friends and students to experience your work, through your CDs and the wealth of videos at your website. Like myself, everyone is immediately impressed by the depth of your musicality and extraordinary technique. 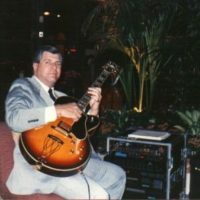 Robert, your ability to instantly shift gears and move from lush chord melody work to remarkable single-note lines is perhaps unparalleled in the field of jazz guitar. RC: Thank you for the kind compliments – you’re good for my ego (laughs). MS: You know, each time someone hears you the inevitable questions arise: Who is this guy? How come I’ve never heard of him? So for starters, can you talk a little about your early days? RC: Well, to say the least my life has certainly been a roller coaster ride. 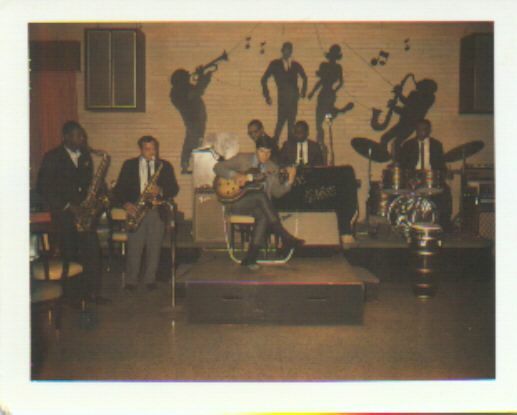 During the first half of the sixties, I started playing the local clubs in Philly, along with several road gigs during and after graduation from high school. Then, after a few years on the road, I decided to remain in North Florida and started teaching from the middle to the end of the sixties. In early part of 1970, I decided to accept a gig traveling with a great road group, and my best student took over my teaching studio. RC: Four years passed quickly, and in early ’79 I received an offer for a record deal from Albert Marx, a heavyweight jazz producer and owner of the former Discovery Record label in LA. In May of that year I recorded “Latin Love Affair,” a disco album of original tunes with very aggressive jazz solos over real chord changes. Looking back, who knows? It may have been the first “smooth jazz” album. During that trip to LA , the producer also asked me to do a direct-to-disc album of ballads. That album was entitled “Solo Guitar.” The music business looked promising after those first two albums were recorded in 1979. Then, as luck would have it, in 1980 another lucrative “do it or lose it” business venture surfaced. Through the years I adapted a somewhat adventurous business philosophy: “When you got a hunch, bet a bunch”. Anyway, that venture quickly consumed another eight years. MS: Before we get too far ahead of ourselves, I understand that you and Pat Martino were good friends growing up together in South Philadelphia. What was that like? Are there any good Conti/Martino stories you can share with the JJG readers? RC: Yes, as a matter of fact I have a great story and an indelible memory that I can share with you and the readers. 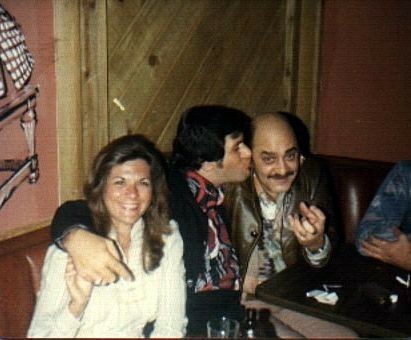 I can recall many nights over at Pat’s house on 16th Street. In fact, the first time I ever saw or put on stereo head phones was at Pat’s house, and I still remember my amazement over the unbelievable sound. Really high tech stuff back then (laughs). In the very early sixties all the hip musicians in South Philly would congregate at the Melrose Diner, which is still a popular place to this day. One night in the diner, Pat said, “let’s go over to South Street. I want to sit in with a group.” As South Street was not the most desirable neighborhood in town in those days, I remember saying to Pat, “Is this a good idea? So, in the dead of this unbearably bitter cold winter night, Pat convinced me that we should leave this nice warm and cozy diner and drive over to a place called the Sahara Club. Here we are, a couple of young 16 or 17 year old kids, and with our typical South Philly style we walked in as if we owned the place. Now I can’t speak for Pat, but I was definitely a little nervous. We found a safe corner and listened intently as this really cooking organ trio played the last songs of that set. As the musicians came down from the bandstand, Pat asked to sit in. Then came a defining moment in time, nearly 40 years ago, that I can still remember as vividly as if it happened ten minutes ago. Mark, it was if I was suddenly in one of those slow motion scenes of a movie. Nothing else mattered, licks, chops, guitars, whatever, as this was the moment of truth. Needless to say, Pat got on the band stand and wrecked the place, and all was well. If my memory is still correct, the organ player was Don Patterson, and the rest is recorded history. "Conti is a master guitarist. The word "can't" is not in his vocabulary. He obviously had a vision years ago as to what he wished to accomplish with his playing, and continues to realize this vision in new and original ways, all the time. If that is not enough, he is a super guy and I'm proud to have him as a dear friend." MS: Great story. I hear many different players in your work. Who would you cite as your biggest influences? RC: As a whole, I would credit Johnny Smith, Howard Roberts, Hank Garland, and Wes Montgomery as those who had the greatest initial impact on my long term development as a player. 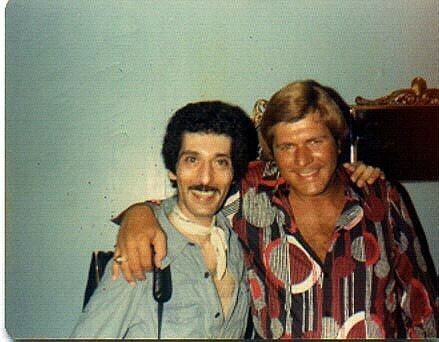 I would also extend credit to Joe Sgro, my first and only teacher in Philadelphia. Within the scope of a couple dozen lessons, he pointed me in the right direction. 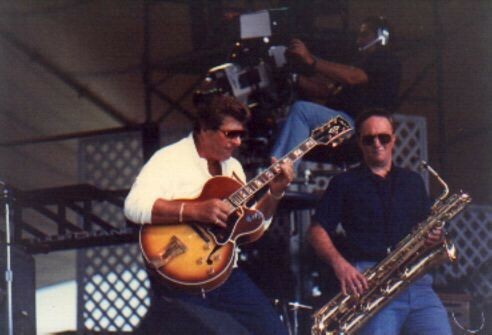 During those early years, I always admired Pat’s discipline and intense focus on playing serious jazz guitar. In fact, it was Pat who first introduced me to Howard Roberts. However, in the early sixties, I had a taste of traveling and I was playing some great club venues on the road. While I had my share of chops back then, my mind was focused on primarily on traveling. 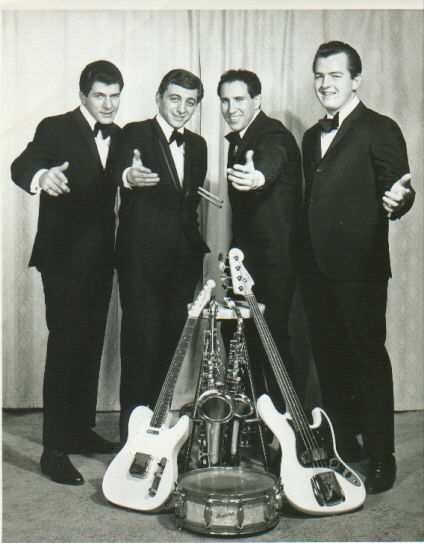 My first road gigs actually began in 1962 with a variety of commercial Philly groups, and I was fortunate enough to play an extended Vegas gig in ’64 at the age of 18. 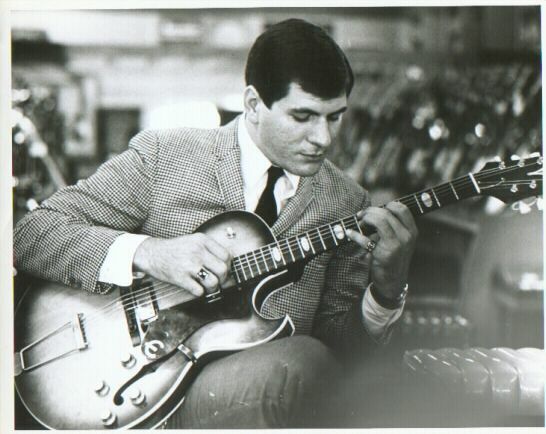 So I was not yet really serious about jazz guitar in the early to mid-sixties. 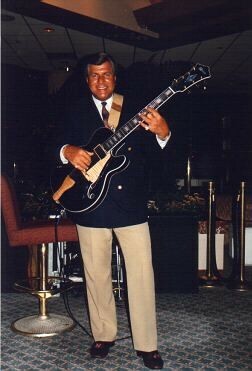 In essence, my desire to pursue or play serious jazz guitar went on hold, as I was having the time of my life traipsing around the country, playing in many different clubs. 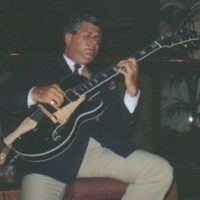 "Robert Conti is an amazing guitarist, one who has complete command of the jazz idiom and is still totally individual. His passion for music and his keen understanding gives him the ability to be an equally effective teacher too, truly a rare combination of qualities." MS: Getting back to our earlier conversation and the eighties, during my research, I discovered some lofty accomplishments in the photo galleries of your website. RC: Those were some great, exciting years, to say the least. In the midst of all my business activities during those years, I managed to record several additional albums, including a guest spot with Gerald Wilson. However, I played very few gigs. 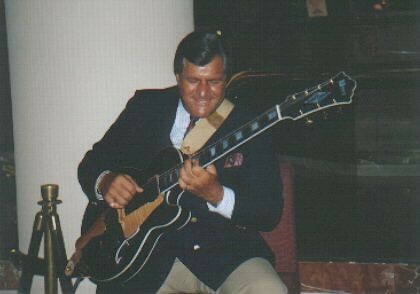 In early ’88 I decided the time had arrived to do exactly what I began planning in 1958, playing the guitar exclusively. Ironically, as fate would have it once again, I had made an acquaintance while performing at the Pacific Coast Jazz Festival in ’86. In the early summer of ’88, that prior acquaintance resulted in an attractive offer from the Dino DeLaurentiis organization in Beverly Hills. Within ten days of that phone call, I sold my home in Ponte Vedra Beach, Florida, and my family and I were on our way to California. 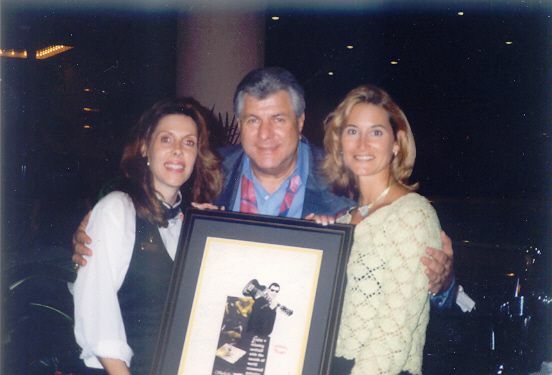 "Robert Conti is something else - a really interesting, larger than life personality. When I play with him, I never know what's gonna happen - it can end up going anywhere! To me, he's the Godfather of Bebop Guitar - or maybe I should say he's the hit man!" MS: Is that when you began that long hotel gig? RC: No, not at that point in time. Six months after arriving in California, while I was still associated with Dino DeLaurentiis, I had the misfortune of a back injury that required long term bed rest and physical therapy before I became mobile again. In the midst of the pain, I was almost happy the accident had occurred, as six months of freeway commuting was taking its toll. To answer your question, just after I was well enough to drive again, I was visiting a Marriott hotel that had an exquisite lobby bar. In conversation, the bartender mentioned they had just let the piano player go for unknown reasons. My wheels started turning immediately, as the thought of playing guitar was far more appealing than driving the freeways once again. After some low-level scheming, I carefully engineered a chance meeting with a senior hotel manager, who turned out to be a savvy guy with much business acumen. In less than five minutes we made a deal. 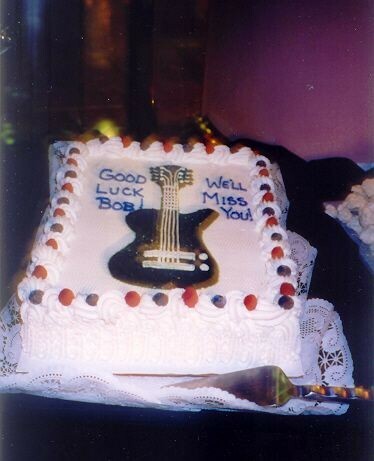 One week later, I began a two-week solo gig that was extended for nearly ten years. MS: A ten-year steady gig. So unusual. But you obviously didn’t miss the road? RC: No, not at all. In fact, one night, as I was watching hundreds of people checking in and out, it suddenly occurred to me that it was not necessary for me to go on the road, because they were on the road. It was a great gig in many ways. However, I actually extricated myself from the music business by being out of the loop for so many years. In 1998, a hotel remodel essentially destroyed the ambiance of that beautiful lobby bar, to the point that live music was no longer conducive. If that event had not occurred, I might have remained there for another ten years, and this interview would not be taking place. RC: Thanks for the nice compliment and your vote of confidence. Perhaps I should send a note of thanks to those interior decorators? As a result of their hatchet job on that lobby, they caused my escape from that cushy hotel gig (laughs). 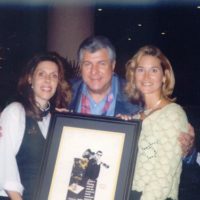 "The sound of Robert Conti quickly became a signature for the hotel with his first class presentation of nightly performances. Numerous business and leisure travelers chose follow-up visits to the hotel solely based on the opportunity to see him performing live in our lobby lounge. 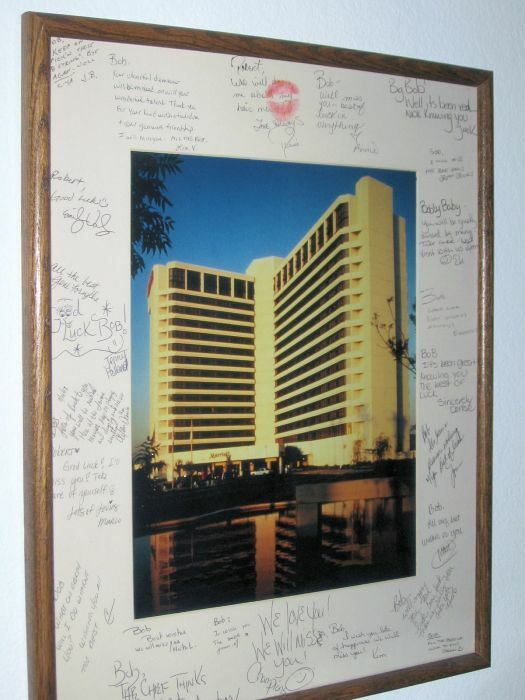 In fact, Bob's fans were numerous enough they were almost considered as a separate market segment for us!" "In an environment as competitive as the hotel business, it helps to have an edge - my secret weapon was Robert Conti for eight years. Part ambassador, part salesman and one hundred percent talent. In a world of axes...Bob is Paul Bunyan!" 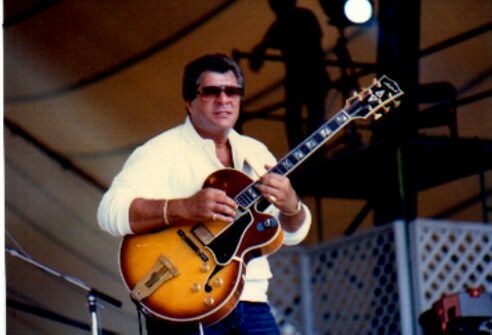 "Robert Conti is one of the top jazz guitar players of our time!" MS: Let’s switch gears and discuss your books. Everyone I talk to raves on and on about the effective way that you deliver valuable knowledge in print media, and through your lessons by mail. Can you define your approach to teaching and exactly what it is that makes your learning materials so effective? MS: So with those presumptions in mind, how do you approach a student? RC: In a manner of speaking, I have developed somewhat of a reverse teaching method. Specifically, if a large amount of boring, non-playing types of data are fed to a student, the great majority will quickly lose interest in the instrument. Most people simply don’t want to spend endless amounts time memorizing scales, key signatures, and so on. Alternately, I discovered that when I convey the results to the student first, then his or her level of interest is piqued to the point where that student suddenly wants to obtain the important “why this ‘n’ that works” knowledge. "Conti is one of the best." RC: Sure. For example, although it is extremely time consuming, I take the time to prepare my chord melody arrangements with the chord grid directly over every note, so there is nothing left to chance. As a result, learning to play becomes very easy. Even a very early intermediate level student with minimal ability can work his way through a harmonically complex arrangement. When the student hears himself playing such an arrangement, even if it is played very slowly, the self-confidence meter goes through the roof, and the net effect on the student’s pride and self-accomplishment is absolutely overwhelming. MS: All of which inspires them to learn more, right? RC: Yes. There are those who become ecstatically happy just being able to instantly play something they find really gratifying – and they simply don’t care about the nuts ‘n’ bolt mechanics of harmony. However, under those same circumstances, there is also a larger group of students who will want to know exactly how I arrived at those chord changes. My mission as an educator is then accomplished, as I have induced and piqued that student’s self-imposed quest for knowledge as to the why and how he or she suddenly sounded so good playing that arrangement. In essence, I produce my learning materials so that a student with a minimal level of ability is able to hear nearly instant results. By the way, the scenario I just described was the driving force that caused me to produce the fourth book in my Source Code Series, “The Formula.” I received an endless truckload of email requesting information on harmonic methodology. "Bob is one of the finest players on the scene today!" MS: I understand that you are currently in the production stage of instructional videos. Could you provide a head’s up on the focus of the material, and when will they be available? RC: The improvisation videos will present a variety of harmonic structures that every student of improvisation should know how to deal with – quickly and effectively. For example, songs with interesting harmonic structures, like Green Dolphin Street, Cherokee, Rhythm Changes, and others. As to the specific format of the video lessons, first I will perform an improvised solo over the chord changes of the subject song. Immediately after doing so, I will then begin dissecting and demonstrating the solo, note by note, in easily digestible one or two measure segments. In essence, the student will be able to learn every facet of the solo lines from the video. I should mention that I’ll be playing 6-string guitar on all of those instructional videos. Also, on the back burner, I am contemplating production of a video devoted entirely to left and right hand technique, perhaps utilizing my Source Code Book Two [The Precision Technique] as the road map for the video. Specifically, the student will have the opportunity to play the development exercises along with me. As a long standing rule, I will not ask any student to play, or attempt to play anything that I can’t specifically demonstrate. MS: I see continuing discussions on the internet newsgroups regarding the unusual level of your technique. Robert, how exactly did you acquire such absolute control and mastery of the instrument? Are there any secret tricks or tips that you can offer aspiring players? RC: Well, contrary to popular belief, there are really no secret tricks. Other than the desire to acquire a high level of technical command, the more important requirements are self-discipline and a well-defined plan to attain the desired level as quickly as possible. While most people take it for granted, it is very important to realize that when anyone plays the instrument, even if only a few simple cowboy chords, the combined motor function of the left and right hands far exceeds the most complex piece of machinery ever made by man. As explained in Source Code Book Two, my technique was developed and is primarily based on three principles. First, economy of movement in both hands, as any motion that does not serve to create a sound is essentially wasted effort, especially in the right hand, wrist or forearm. Second is absolutely no resistance, friction, or drag in the motor function of the right-hand picking technique, which leads to number three. My choice of pick is an .038 gauge for optimum performance and response, as that gauge eliminates any choking in the pick-strokes between the strings. Those self-imposed parameters always apply, whether I’m playing clean improvised lines with a rhythm section at 250 BPM, or using distortion while playing with a roaring blues band. MS: Would you like to address that occasional “he’s all chops” accusation? Ironically, piano or horn players are almost always expected to have chops, and it’s never an issue of discussion. However, when a guitarist has the same level of technical facility, there is always a contingent of people complaining that he or she “…plays too many notes, has no sensitivity, and more meaningless blah, blah, blah.” I’ve often wondered if we should therefore conclude that a lack of technical facility indicates the presence of sensitivity? "A world-class musician, a virtuoso, Robert Conti is completely at home in any setting. 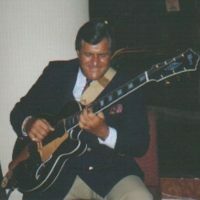 He graces his listeners with incredible guitaristics from beautiful lush chord solos to extremely complex blistering bop lines with a litheness and agility that are astonishing as well as exciting and invigorating!" MS: You make some very logical points, but be honest. Does the criticism bother you? RC: I used to take those inane comments seriously up to a certain point in time, until I actually heard the same ridiculous comments being leveled at a variety of other guitarists whose talent I admire and respect. In the early days, I was always impressed, and more importantly, very inspired by the technique demonstrated by players such as Smith, Garland, Benson, Roberts, Farlow, and others. When I listened to those players, I never said, “Gee, he has too much technique… or he played too many notes.” To this day, my taste still leans toward aggressive players like Benson, Martino, Forman, Eschete, Giglio, Wilkins, Taylor, Purrone, Bruno, and others who demonstrate uncommonly high levels of technical ability and authority over the instrument. Every one of those players has the ability to deliver a stellar hard bop performance at any tempo. But you have to realize that it’s precisely the same technical ability that will also allow them to deliver a sensitive rendition of a ballad. MS: Guitarists have often mistakenly equated technique with speed. From what you’re saying, perhaps your solo guitar fans have a somewhat different perception of you? RC: Yes, that’s actually true. Over the last two or three years I have had untold numbers of guitarists approach me after a straight ahead gig to make some comment like “Gee, I didn’t know you were that type of player. I heard you were just a guy playing soft ballads and elevator music in a hotel.” Go figure? Actually, the bottom line is very simple from a logical perspective. Apparently, there are individuals who will summarily categorize a player’s level of skill and/or approach based solely on the abbreviated basis of what they hear you play at a given moment in time. I believe it is essentially impossible to please everyone’s taste. "Conti does the whole nine yards, quick and clean. He's the complete package!" MS: I couldn’t agree more. We could certainly name many victims of unfair labeling. 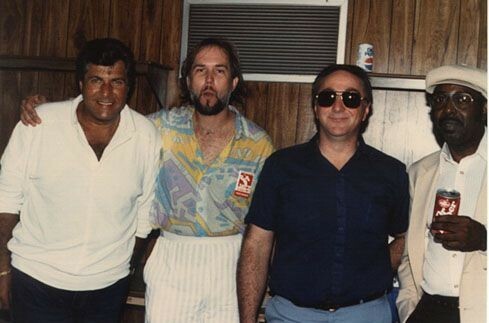 RC: Yes, look at George Benson. Prior to 76, he was out there working the circuit for who knows how many years. I won’t use the term “lucky break” because his success was hard-earned, and certainly well-deserved. Yet I’ve heard people say, “Oh, George sold out. He doesn’t play jazz anymore, blah, blah, blah.” What exactly do those vacuous comments mean? Sell out to whom? Millions of people change jobs every day in an ongoing effort to better their lives. Apparently there are those who feel that jazz musicians should not be permitted to enhance their lifestyle without being subjected to the “he sold out” comment. I feel safe in saying that if George played a country lick, it would still sound like it went through his soulful roots first. Simply, no matter what George plays, it will still sound like great jazz. So what person out there is qualified to quantify the aggregate of his talent and ability in a sentence? Again, you simply can’t please everyone. Ed Benson does a superb job producing this publication for a specifically targeted reader interest. Yet, as I recall in a previous issue, someone wrote a letter complaining about the magazine content, a misspelled word. Please forgive the ongoing diatribe. Point is, no matter what you do, there is always a whine-a-saurus-rex out there. MS: Robert, you’ve played a highly unique 8-string solid-body guitar for several years now. I’m curious, and I think the readers also might like to know how that guitar came about? Can you tell us more about the instrument itself, and what made you favor it over the conventional, 6-string archtop normally associated with jazz guitar? RC: Well, after the first year of playing solo six string on the hotel gig, I began considering a 7-string for a bigger sound. 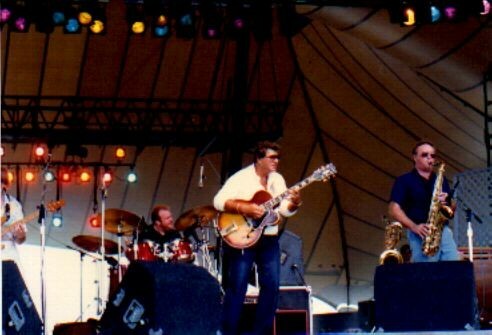 In 1989 I had my first 7-string made by a fine luthier, Glenn Mers. Two years later, I was about to have a second 7-string built as a backup, and the idea of an 8-string suddenly crossed my mind. After several discussions and design drawings, as to possible structural accommodations for the additional tension of yet another lower bass string, it appeared that an 8-string was not possible, at least not in a traditional looking instrument. However, as a result of a brainstorm that worked, I quickly commissioned another fine luthier, Saul Koll, to build my first 8-string instrument in ’92. As you can clearly see, Saul built a superb instrument. MS: How was that guitar tuned? RC: In addition to standard 6-string tuning, I tuned the 7th string to B, and the 8th string to F#. That configuration works very well for me. MS: Was the change to 8-string very awkward after thirty years of playing 6-string? RC: Interestingly, the transition from six to seven strings in 1990 was a bumpy ride for a couple of weeks. However, the transition from seven to eight strings in ’93 was actually very easy, as I had mentally played that guitar every night during the ten month construction period prior to receiving the 8-string instrument. Then, in 1995, Bernie Rico saw the original 8-string Koll at the winter NAMM show, was very impressed, and decided to make a BC Rich 8-string production model. MS: Is that instrument still available? RC: No. As nearly everyone knows, that company specialized in innovative designs for some very different types of players. Being an innovator, Bernie saw the 8-string as a design challenge and simply moved forward. After Bernie passed away in December of 1999, I believe the company changed ownership and the 8-string was not included in their marketing thrust. 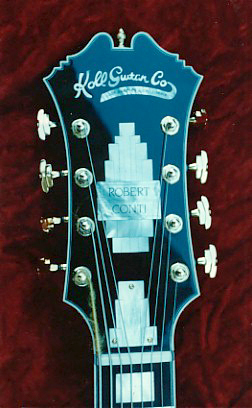 "Robert Conti is a great guitarist with a formidable technique. His friendly and gregarious nature is reflected in his music as a self portrait." MS: Fortunately, all of your books are exclusively directed toward 6-string guitar, which leads to my next question. Do you still play 6-string guitar, and is it difficult or confusing to move between those guitars? RC: Actually, I do play a 6-string instrument every day to compile material for my books or for preparation of lessons. As a general practice, I only employ those two lower strings in a solo guitar performance, as they are inappropriate in a group with a bassist. To answer the rest of your question… Yes, several years ago it was very confusing moving between the six to eight string instruments, as I found myself having to rethink voicings, and I was constantly looking for that missing bottom end. However, like any other discipline, it became much easier after playing the two instruments each day. Fortunately, I am able to switch between my 6, 7, or 8 string guitars without any difficulty, as I learned to employ a different mind set for each instrument. MS: Before asking the next question, I would like to tell the readers that I just heard a test pressing of an upcoming Conti solo CD, and some additional tracks with a rhythm section. Robert, your solo renditions of “Smoke Gets In Your Eyes” and “The Shadow Of Your Smile” are particularly impressive. In addition to your superb playing, what is your gear setup to get that incredibly warm sound on all those tracks? RC: Other than the tracks with the 8-string, my 6-string guitar and amp are stock off-the-shelf, but there’s more behind the equipment story. 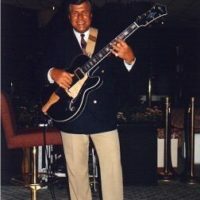 In the 70’s I somehow acquired an old Hofner guitar that I used for teaching. It really had a great sound. In fact I wish I still had that guitar. 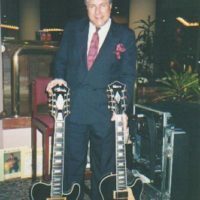 About four years ago at the NAMM Show I saw my friend and highly-accomplished player Sid Jacobs, who sounded just great playing an absolutely beautiful blonde archtop made by Hofner. 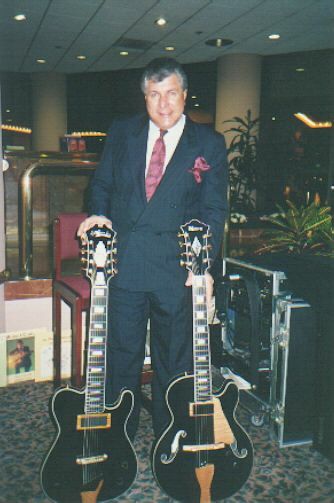 Sid told me the Boosey & Hawkes company had purchased that company and reintroduced those high quality guitars in the US. While there is an ongoing buffet of guitars from many great luthiers at the NAMM show year after year, I saw continuous improvements and refinements in the Hofner archtop – this instrument that clearly stood out from the pack. Presumably, with Hofner headquartered in Germany, they must surely have first dibs on all that great wood in the Black Forest? In either case, since that NAMM Show I knew that my next 6 string instrument would be a Hofner, and that is the instrument you just heard. I might add that it is a stock blonde Jazzica model, set up for me by Kirk Sand and John Heusenstamm at the Guitar Shoppe in Laguna Beach. The same guitar is also used in the upcoming videos. MS: And what about amplification? RC: My amp is a stock Peavey Delta Blues tube amp, that incorporates Peavey’s 15 inch speaker, properly matched to the harmonic spectrum of the guitar. As you heard, fat and warm highs and lows, rather than the boomy sound of the typical 15″ bass speaker. 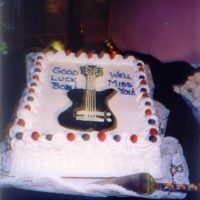 MS: Like myself, I’m sure most of the readers who aspire to make a living playing guitar would probably like to know how you managed ten years in one hotel? Or, how does a guitarist obtain that kind of a gig? Would you elaborate on that subject for the readers? RC: Certainly. Funny you should ask that question, as someone recently suggested that I conduct a business decorum seminar for musicians. In essence, one should know what to wear and what not to do when approaching the average hotel manager to solicit employment. Unfortunately, the majority of hotel managers who are responsible for hiring musicians very often lack experience and/or good taste in music. To make matters even worse, most are unable to differentiate between an amateur and a pro. MS: That’s a sad scenario, but is it really as commonplace as you make it sound? RC: Very much so. 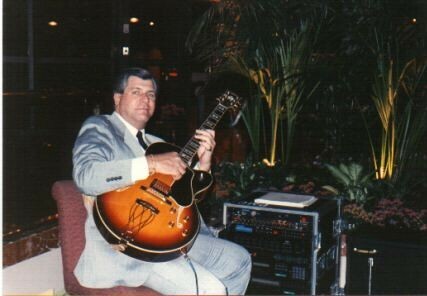 A good example: In ’88 I was booked as a solo guitarist for a Mother’s Day Brunch in a very nice North Florida hotel. I had arrived about one hour early to set up. However, the room where the brunch was scheduled was locked and not yet open to the public. There was a baby grand piano less than fifty feet from the locked doors. Since my equipment was in full view, I decided to pass the remaining time plunking a few notes on that piano. Now, as to the reason I was hired? Earlier in our discussion I mentioned a chance meeting with a senior hotel executive at the bar. I made certain that he did not have the slightest clue I was a musician. As a result of his presumption that I was an executive – or perhaps a hotel guest about to launch a complaint, he was very receptive to the idea, and one thing led to another. MS: How did you manage to make the gig last so long? RC: I was able to hold the position for ten years through the transition of many managers for a variety of reasons. First, the warm sound of a guitar drifting throughout the first level of that hotel created an immediately noticeable and very different ambiance in that expansive lobby. Also, my prior business experience allowed me to easily interact with the businessmen who were frequent guests of that hotel. Well, management soon became aware that I was generating a substantial sales volume of room nights and meeting business, because numerous guests were kind enough to take the time to complete guest satisfaction cards, actually stating that they “…would return just to hear the guitarist in the lobby every night.” As one of numerous examples, a national meeting planner for a division of IBM was evaluating several area hotels as a site for a major event. 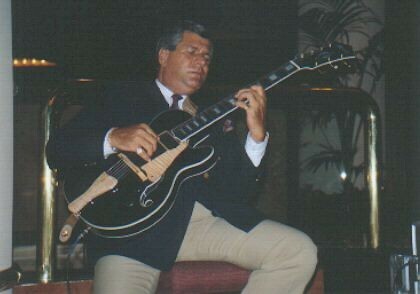 During casual non-business conversation over lunch with the GM, the planner mentioned that he loves to play his guitar. That GM was very alert, and urged him to visit my performance in the early evening hours. That night, after my performance, I spent two additional hours socializing with him, pointing out several desirable features of the hotel, local attractions, etc. 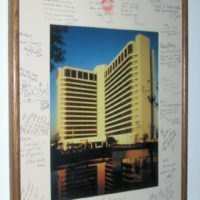 He commented several times “…the sales people didn’t tell me about that.” The following Monday morning, the GM received a fax essentially stating: “…my discussion with Bob Conti convinced me that your hotel was the best choice, send the contract.” That event resulted in the sale of several thousand room nights for the hotel. Add food, beverage, and meeting revenue, and you quickly exceed seven digits. Conti plays the guitar as well as anyone on the scene today!" MS: It’s clear to see why you remained there for ten years, although I’m sure your musicianship was also a major contribution. I can also understand the comments from the hotel executives I contacted. Now, what can we expect in the future in the way of new Conti videos, books, and CDs? RC: As we discussed earlier, the videos are in production as we speak, and I’m preparing to add the improvisation series to my lessons by mail program. As to new books, I am now completing Source Code Book Five, “The Chord Melody Assembly Line.” The information in that book will teach any intermediate student how to quickly and correctly assemble a presentable chord melody arrangement. The “Assembly Line” began shipping in January, and it answers the question that is continuously presented by numerous guitarists: ” Where do I start, and how do I prepare or create a chord melody arrangement?” Also, pending completion of licensing issues, I’m planning to compile a book of bossa nova arrangements for 6 and 7-string guitarists. MS: Incidentally, I heard some really great compliments from several attendees of your recent clinics at Bruce Forman’s Jazz Masters Workshop in San Francisco. RC: That was a great trip up to the Bay Area. I really enjoy interacting with students in my learning clinics, as it is always gratifying to see students assimilate and quickly utilize any new approach that I may present, so I plan to continue clinic activity as my schedule permits. As for CDs, I am desperately trying to complete several recording projects. Some mornings I am in my office at 5:30 AM and I’m already two hours late. It seems there are always more projects than hours in the day. However, I have actually blocked out three weeks of my schedule in the near future to complete all recordings that have been on hold. MS: On the strength of your experience, what advice would you give to a student who wants to make a living playing guitar? RC: Become a lawyer – just joking (laughs). As you know there are several facets of the music business, such as teaching privately, or in an academic environment, or perhaps becoming a session player. So you must evaluate your strengths and specific career goals. For instance, I recognize that I am absolutely not a session player, and I have no desire to enter that field, as it is highly specialized. There are people like Tim May and Mitch Holder and others who are real aces in the studio. 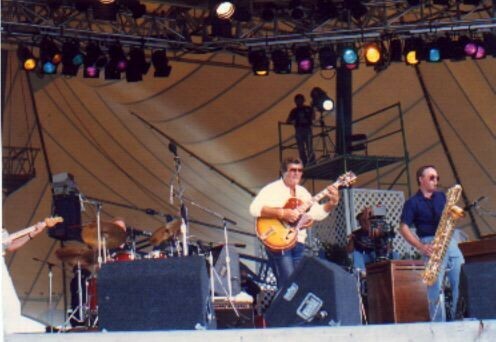 As for my steady diet, I prefer the thunder and lightning on the bandstand with a great rhythm section. MS: That’s obvious to any one who’s seen you play live. What about specific advice? RC: Speaking strictly about the performing aspect of the business, it really depends on the pay scale that you seek, and the type of venues where you want to perform to make a living. I am a realist. With that in mind, there are two basic and very common scenarios to examine and consider. MS: So what’s the other alternative? RC: Presumably, the various levels of social classes will always exist. It is therefore reasonable to further presume that a wide variety of finer establishments will also exist to meet the unique demands and amenity requirements of the middle to upper social classes. Specifically, finer restaurants, hotels, country clubs, catered private and/or corporate events. As a general rule, this is where a musician is well-paid. First of all, learn a huge repertoire of the most famous songs of the last sixty years. Consider this: “The Girl From Ipanema” was written about forty years ago. However, every musician who plays a large number of casuals would probably tell you that song is the unofficial national anthem of casual engagements. Secondly, learn from musicians, but don’t play to impress other musicians. If you must, then do so only in the appropriate place, such as a jazz club. Develop a reverence for melody and you will impress the great majority, in other words the average listener. And last but not least, dress properly. Learn about wardrobe and look like you belong there. For example, don’t show up wearing a pair of black sneakers with a suit made up of a mismatched jacket and black pants, or worse yet, some third world tuxedo from K-Mart or a thrift store. Whether you believe it or not, people do notice. MS: Robert, one more question that I simply have to ask you. While researching for this interview, I was told that you only listen to oldies rock stations on the radio, or Italian opera, but never any jazz. Those are some real extremes. Is that information true? MS: Anything else you would like to say in closing? RC: Sure. I extend my gratitude to all those who have been so supportive of my learning products, and their confidence in my ability to enhance their learning process. Many thanks to you, Mr. Stefani, for conducting this interview, and to the readers who took their time to read it. And of course, my thanks and applause to Ed Benson for his vision in creating this great publication that is certainly a highly valuable resource for all of us who share an interest in jazz guitar.